We have heard a few times from people that they don’t think there s really anything to do during a visit to Biscayne NP! They said they went to the visitor center and that was all they saw during their visit. Going into our first visit to Biscayne NP we expected there to be only the visitor center and maybe a picnic area. We spent some time diving into the park and truly trying to figure out what made it a National Park. I am so happy to say that there is actually quite a lot to do in Biscayne National Park you just have to give yourself time to do it. The visitor center is great but getting out on the water and seeing more of the park is truly amazing. The Dante Fascell Visitor Center is located 9 miles East of Homestead Florida on Convoy Point. The visitor center is very well set up with lots of great information on the park’s four ecosystems through interpretative displays and several videos in the auditorium. I personally enjoyed all the touch displays where people can actually touch things like bones, feathers, sponges, and corals from the area. 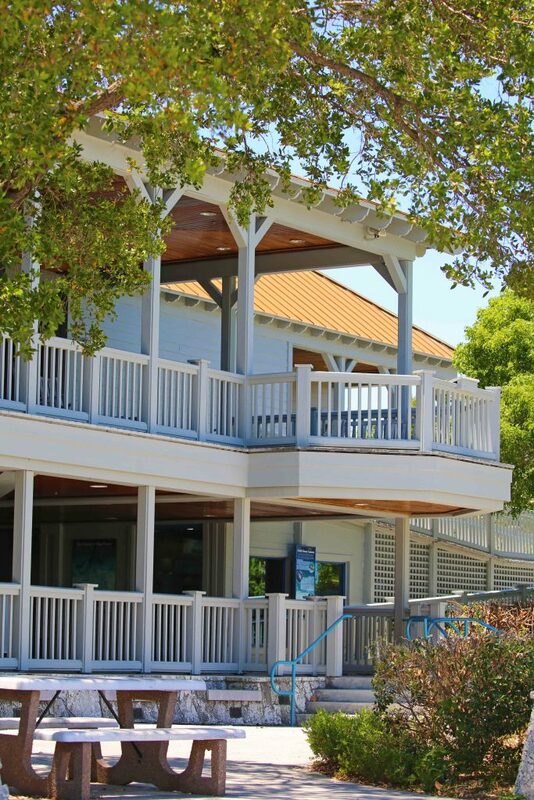 There is also a Dante Fascell Visitor Center Gallery, a place contemporary artists have been inspired by the beauty of Biscayne National Park and South Florida show off their work. Afterward just go outside and find a seat. I found myself completely relaxed just staring out into the Atlantic Ocean as time passed. Later I got up and walked on the docks and saw lots of fish in the water. 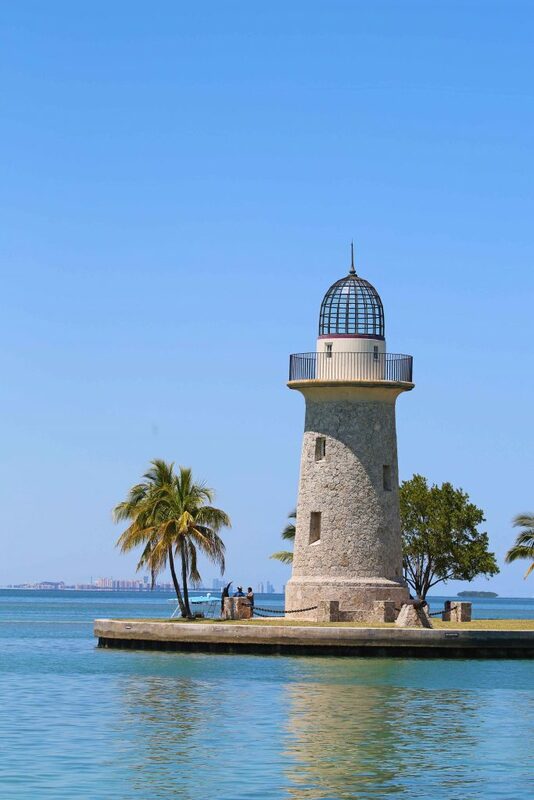 A visit to Biscayne National Park would not be complete without taking a boat tour. 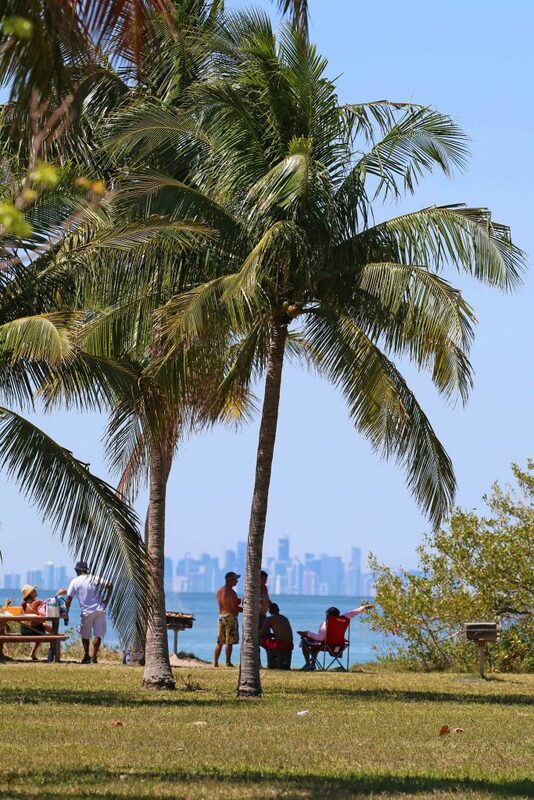 I say this because you need to get away from the visitor center on Convoy and visit the parks three main Keys and coral reefs to truly experience Biscayne National Park. 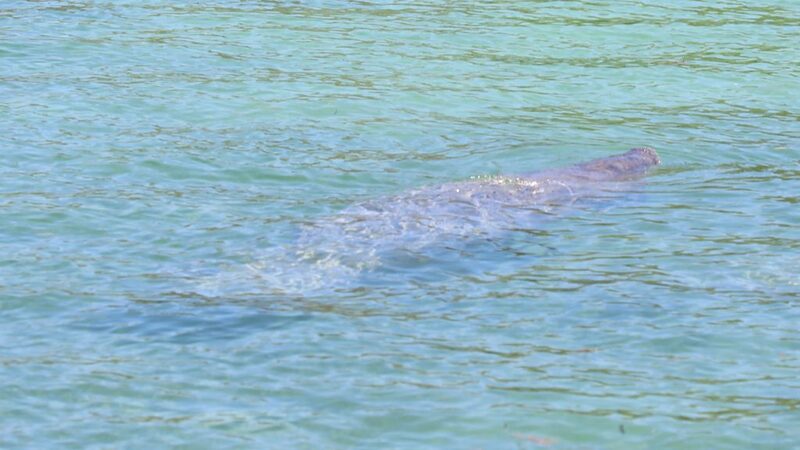 We took the tour to Boca Chita Key and got to see the mangroves and lots of wildlife including several manatees. 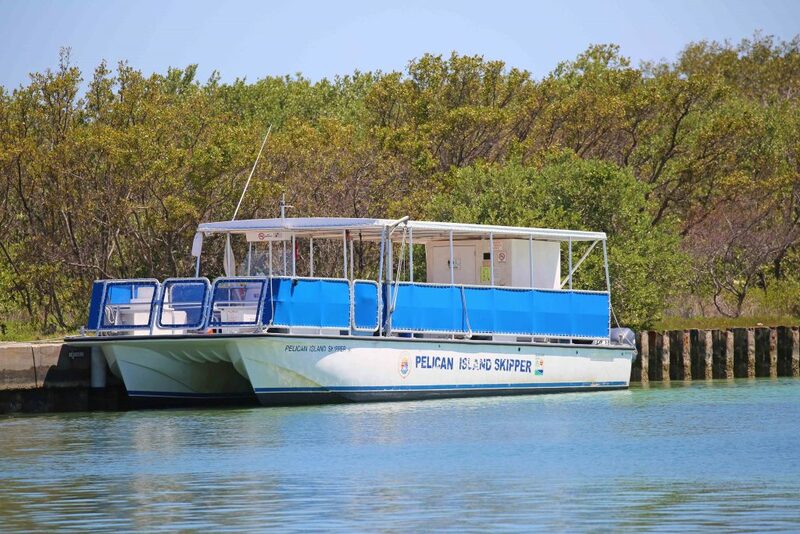 Click Here for more information on boat tours. 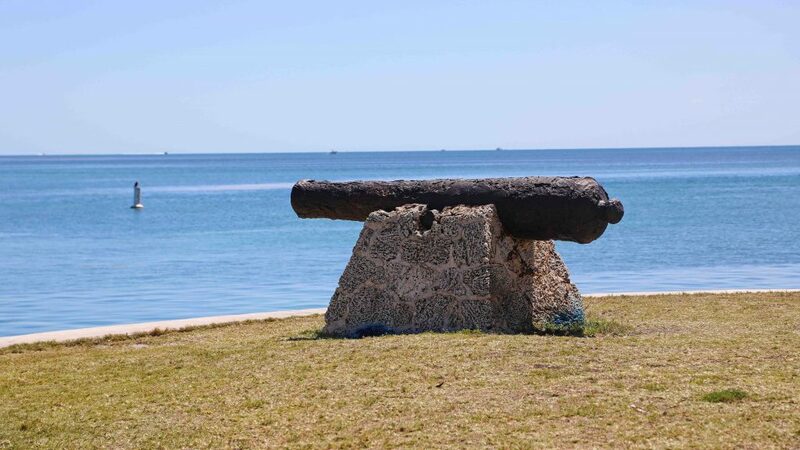 We had the pleasure of spending a couple hours enjoying Boca Chita Key on the guided National Park Boat Tour. It was Fantastic! We took a short half-mile hike on the only trail on the island then got to explore the parks 65-foot lighthouse built by Mark Honeywell in the 1930s. We then spent time relaxing soaking up the incredible view. Did I mention you look out at the Miami City line from another island, pretty epic! I would suggest taking a picnic and hang out at one of the picnic tables and just relax! 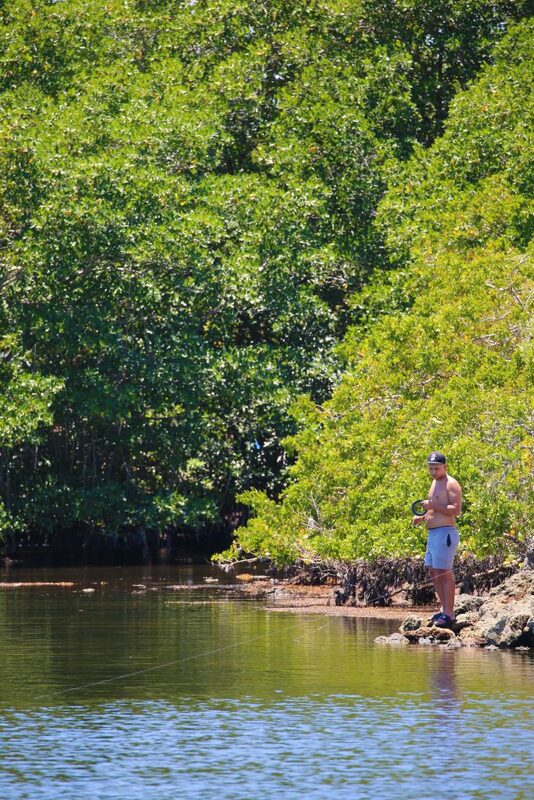 Fishing is a very popular activity at Biscayne National Park. Just remember that a Florida Saltwater Fishing License is required. Please check the fishing rules and regulations for up to date information and how to obtain a fishing license. 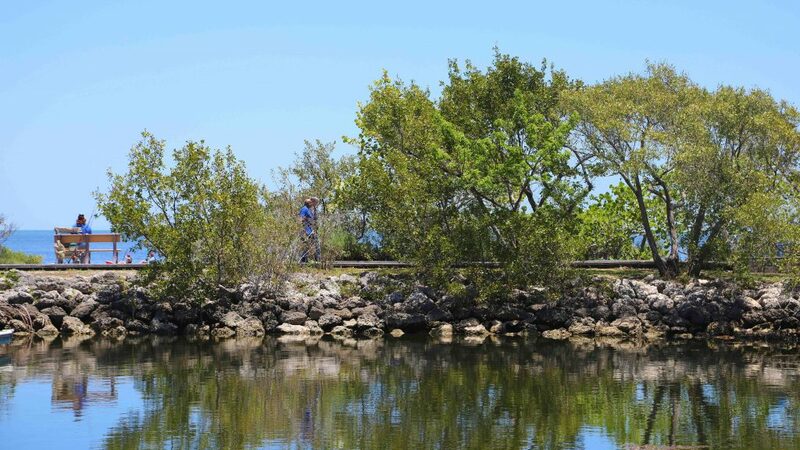 There are two campgrounds in Biscayne National Park; Boca Chita Key and Elliott Key. Both campgrounds require a boat to get there and all sites have picnic tables, grills, and restrooms. Camping is on a first come, first serve basis and is $25 a night. Click Here to book transportation to Elliott Key. You can easily put your kayak in the water when you arrive at the Dante Fascell Visitor Center, otherwise, you can meet with Necflo Paddlesports, the park’s concession who will be happy to rent you a Kayak Wednesday through Sunday. There is no charge to launch a canoe/kayak but make sure to check in with the visitor center and obtain a free permit for your vehicle if you plan on kayaking out and staying overnight at one of the park’s campgrounds. Click Here to see the parks paddling trail guides including Jones Lagoon and Hurricane Creek. You can snorkel from the shoreline but the water is extremely shallow and has a seagrass and mud bottom making visibility poor. This area is teeming with sea life however it is small and takes patience to enjoy. You can borrow a dive flag from the park visitor center if you choose to snorkel from shore. 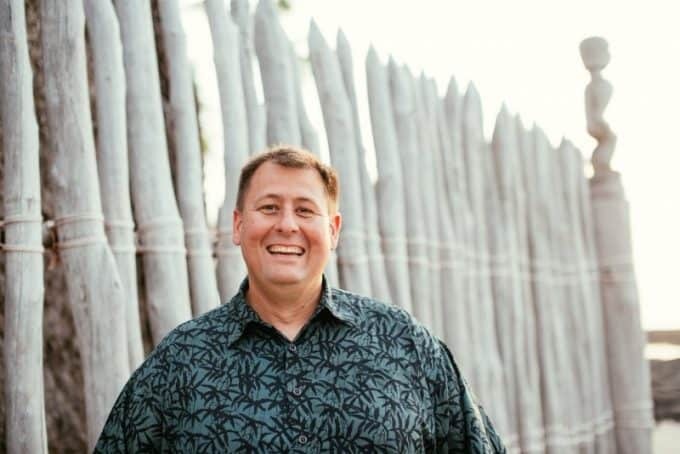 There is a reef that is approximately 10 miles from shore and requires a boat to get there. Click here for boat tours that provide snorkeling opportunities. 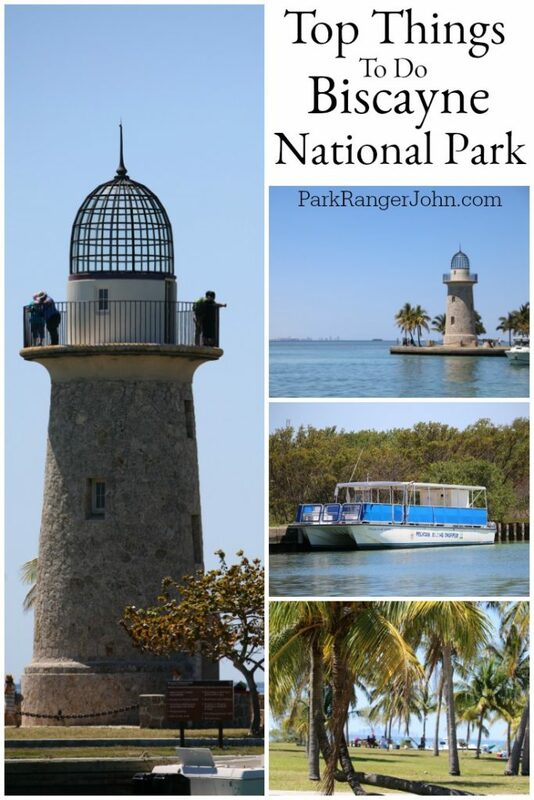 I hope this gets you excited about visiting Biscayne National Park. There is much more to explore including Elliott Key and Adams Key. South Florida is also blessed with two other incredible National Parks: Things to do Everglades National Park and Things to do Dry Tortugas National Park.